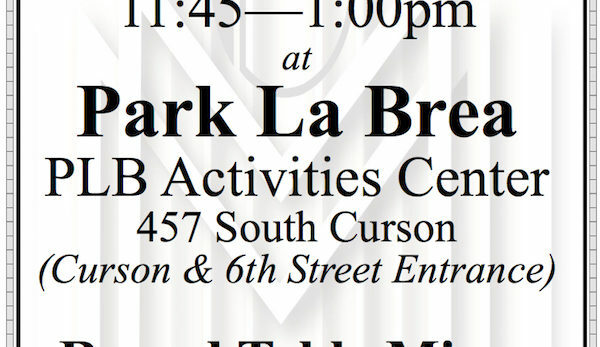 Please join us for a fun networking luncheon at Park La Brea. Please prepare your 2 min. elevator pitch as we will go around the tables with our members to tell us about your business and to make new connections. There will also GMMCC announcements and of course the raffle. When: Thursday, August 9th, from 11:45 am to 1:00 pm. RSVP Required by August 7th so we can have a count for catering and seating arrangements. RSVP at 323-964-5454 or info@miraclemilechamber.org.